Santa Cruz City street sweepers remove a whopping 856 tons of debris from Santa Cruz roadways each year. This includes metal particles, petroleum products and other hazardous waste that can be extremely harmful to wildlife in Monterey Bay, our creeks and the San Lorenzo River. When it rains on streets that are not swept, storm water carries these pollutants including fertilizer and copper as well as sediment, dirt and trash into our waterways. Storm water contamination can not only kill wildlife but makes waterways unsafe for drinking and swimming. A well-swept road minimizes what is dumped and transported into our waterways and potential sources of illness. The material that our sweepers often collect includes grass clippings, hedge trimmings and leaves. These are high in nitrogen and phosphorus which are essential for the growth of living organisms, however, excess levels result in aquatic algae blooms. 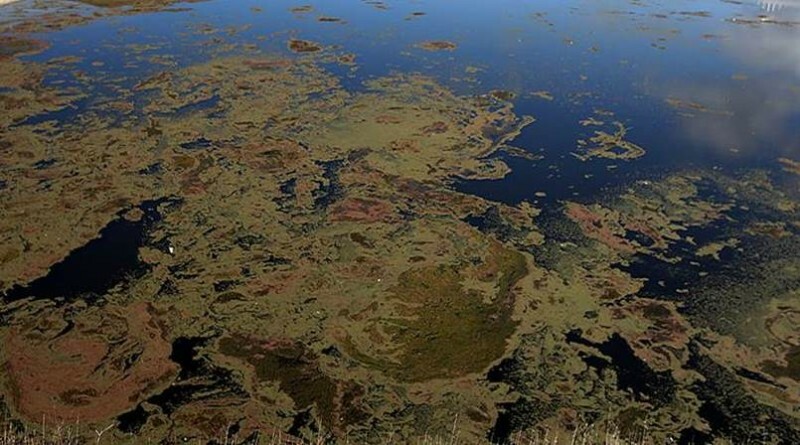 Algae blooms hurt water quality, the food chain, and habitats for fish and other marine organisms. Given this danger, regulations prohibit the public from swimming when algae are blooming. The Environmental Protection Agency names street sweeping as a Best Management Practice to protect our waterways from pollution. Yet, the impact sweeping can have on storm water runoff goes further. 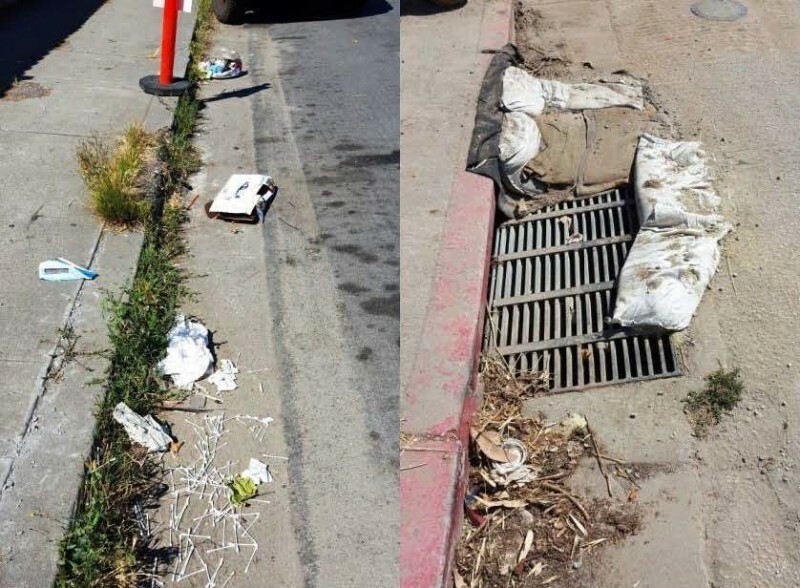 Street sweeping also prevents storm drains from clogging and blocking drainage pathways by collecting gutter debris. This prevents water building up on our streets, reducing the chances of flooding. This also minimizes soil erosion from improper storm water runoff flows. The original motive for municipal street cleaning was another public safety concern: the reduction of traffic collisions. Removal of road debris decreases the opportunity for skids and collisions and allows pedestrians, runners and cyclists to stay as far from vehicular traffic as possible while helping to prevent slip and falls. Street sweeping also lessens vehicle damage from debris. Most common is damage to a car’s finish from abrasion. Also, objects thrown underneath a car may cause damage to undercoating and other issues, while rocks can hurt wheels. Street sweeping also helps with the protection of our beloved pets and wildlife. 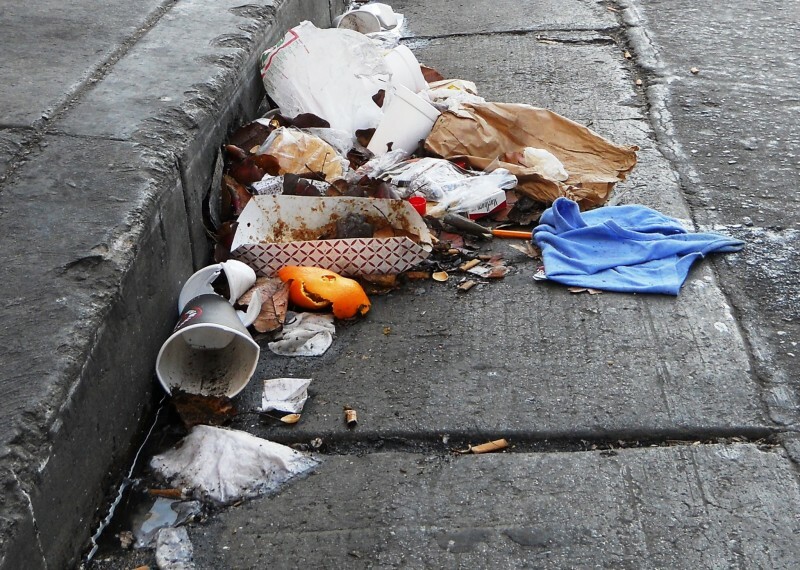 Roadside trash often includes food or other items that attract animals. Much of this is harmful to their health and animals at curbside are all too easily hit by cars. Believe it or not, street sweeping also helps to extend our Measure H tax investment that is repaving City streets. Sweeping increases the life of pavement by removing particles including sand that—given the weight of vehicles— acts as sandpaper, wearing down the pavement repeatedly. Finally, it’s no secret that street sweeping adds to curb appeal. Any property looks better and gains real estate value when curbs are clear of debris. Regular street sweeping keeps Santa Cruz roadways safe and looking good, yet the role of this service is far larger in regards to the environment and the health of our community. To review our Santa Cruz street sweeping schedule, visit www.cityofsantacruz.com. Streets are usually cleaned the day after garbage and recycling are picked up. City crews clean most streets twice a month. Higher traffic areas and bike paths are cleaned more often. We welcome your help in keeping curbsides free on sweeping days. Although we do pick up debris from the middle of the road, sweeping is much more effective when we can access the curb and do a deeper cleaning of the area. If you have any questions, please call us at (831) 420-5539. This entry was posted in City Beat, Environmental, Featured, Local Loop and tagged in city of santa cruz, Monterey Bay, Pollution, street sweeping. Bookmark the permalink. Obviously this article opens with a PR picture. I watch these trucks go up and down the road regularly, but notice that, for long stretches (of the road), cars are parked nose to bumper along each side. All that happens is that the middle of the road gets swept (which the regular traffic regularly blows clean anyway). What we need is a regulation which bans traffic in a certain vicinity of the city so that these drivers can really do the job! When I would visit my daughter in New York, whole areas would be cleared of parked vehicles for street sweeping on a specified day, and everyone accepted the inconvenience. I’ve no complaint with the workers who carry out this wor, but wonder if they feel the same..